The nature of the following work will be best understood by a brief account of how it came to be written. During many years I collected notes on the origin or descent of man, without any intention of publishing on the subject, but rather with the determination not to publish, as I thought that I should thus only add to the prejudices against my views. It seemed to me sufficient to indicate, in the first edition of my 'Origin of Species,' that by this work "light would be thrown on the origin of man and his history;" and this implies that man must be included with other organic beings in any general conclusion respecting his manner of appearance on this earth. Now the case wears a wholly different aspect. 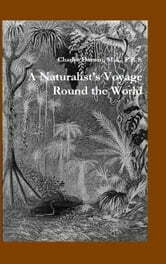 When a naturalist like Carl Vogt ventures to say in his address as President of the National Institution of Geneva (1869), "personne, en Europe au moins, n'ose plus soutenir la creation independante et de toutes pieces, des especes," it is manifest that at least a large number of naturalists must admit that species are the modified descendants of other species; and this especially holds good with the younger and rising naturalists. The greater number accept the agency of natural selection; though some urge, whether with justice the future must decide, that I have greatly overrated its importance. Of the older and honoured chiefs in natural science, many unfortunately are still opposed to evolution in every form. In consequence of the views now adopted by most naturalists, and which will ultimately, as in every other case, be followed by others who are not scientific, I have been led to put together my notes, so as to see how far the general conclusions arrived at in my former works were applicable to man. This seemed all the more desirable, as I had never deliberately applied these views to a species taken singly. When we confine our attention to any one form, we are deprived of the weighty arguments derived from the nature of the affinities which connect together whole groups of organisms—their geographical distribution in past and present times, and their geological succession. The homological structure, embryological development, and rudimentary organs of a species remain to be considered, whether it be man or any other animal, to which our attention may be directed; but these great classes of facts afford, as it appears to me, ample and conclusive evidence in favour of the principle of gradual evolution. The strong support derived from the other arguments should, however, always be kept before the mind. The sole object of this work is to consider, firstly, whether man, like every other species, is descended from some pre-existing form; secondly, the manner of his development; and thirdly, the value of the differences between the so-called races of man. As I shall confine myself to these points, it will not be necessary to describe in detail the differences between the several races—an enormous subject which has been fully described in many valuable works. The high antiquity of man has recently been demonstrated by the labours of a host of eminent men, beginning with M. Boucher de Perthes; and this is the indispensable basis for understanding his origin. I shall, therefore, take this conclusion for granted, and may refer my readers to the admirable treatises of Sir Charles Lyell, Sir John Lubbock, and others. Nor shall I have occasion to do more than to allude to the amount of difference between man and the anthropomorphous apes; for Prof. Huxley, in the opinion of most competent judges, has conclusively shewn that in every visible character man differs less from the higher apes, than these do from the lower members of the same order of Primates.